Staying at the Sea gypsy for a few day's. Anyone else be around? Might even try to fly under the lights if the wind cooperates. If not I'll be at the Nauti Mermaid. 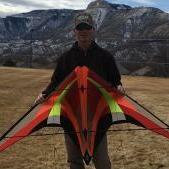 Several flyers will be in the area participating at an indoor fly that weekend. I’m sure a few will make it down to D river entrance to fly outside. Haven’t made up my mind if my family is going or not. Mega fly clinic the weekend before taking place in Long Beach WA. Yep - the indoor fest is on that weekend. Since it is spring break, I wouldn't expect too many at "D" river too many people. Might find some behind the hotel by the casino. Less traffic, bigger beach. A bit of a walk to a bathroom is the only drawback. One of my teams practices there. Undecided about indoor or out, weather will decide! Ill have to check out the beach at the casino or start staying there.